Gwen Mingo (4th from r) and some of those who attended Seot. 14 court hearing in front of Judge Patricia Fresard. Also attending were Father Norman Thomas of Sacred Heart Church, Chuck Lilly, Roni, Clinton Mingo and Mazin Mingo. Fresard denied her appeal of 36th DC Judge Pennie Millender’s order to seize her home, but Mingo appealed; case still open in the state Court of Appeals. Gwen Mingo and niece Courtney Seely after April 14 hearing in front of Judge Millender. DETROIT – Gwendolyn Mingo, the fearless warrior who for years led a coalition of Black home and business owners in Brush Park against a massive takeover by banks and white developers, is asking supporters to pack her court hearing Tues. Nov. 20, 8:30 am in front of 36th District Court Judge Pennie Millender. She is fighting Madison Capital, LLC’s attempt to evict her from the historic Brush Park home at 269 Watson which she has owned since 1996. They are using a fraudulent sheriff’s deed claiming she is behind on her mortgage payments. Madison Capital Funding, LLC is a national finance company with $9.1 billion in assets. 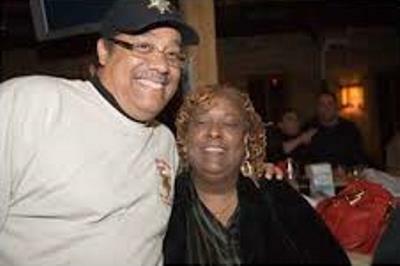 Judge Millender gets hug from Wayne Co. Sheriff Benny Napoleon, a supporter of Detroit Mayor/ gentrifier Mike Duggan; Napoleon’s office issued Sheriff’s Deed against Mingo’s home. She is being represented by Attorney Darwyn Fair, who on Nov 19 filed his appearance and these motions: to dismiss the case for lack of jurisdiction; to adjourn and reschedule the Nov. 20 hearing; or in the alternative adjourn the matter until the Michigan Court of Appeals has heard the case. It is questionable why Judge Millender is even holding this hearing, since Mingo’s appeal of rulings on the case by Judge Millender and Wayne County Circuit Court Judge Patricia Fresard is still open in the state Court of Appeals according to their records. This page from the Michigan Courts website shows clearly that Gwen Mingo’s case (at top) was accepted and is OPEN in the State Court of Appeals. Thus Judge Pennie Millender should have no jurisdiction. 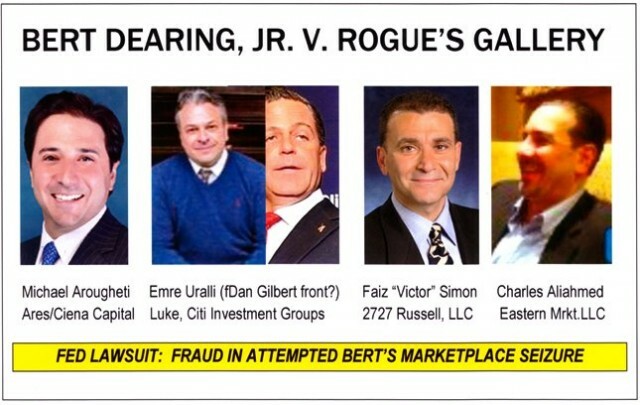 Among the vultures circling overhead is Emre Uralli, one of a gang of developers who are fraudulently trying to seize Bert’s Marketplace in Eastern Market from long-time Detroit businessman Bert Dearing. Uralli, who mis-identified himself as Emre Heinz, repeatedly threw racist, sexist insults at Mingo during a recorded phone conversation, in which he falsely claimed HE bought Mingo’s home and that Mingo was living in HIS house rent-free. Uralli may have been a front for Detroit czar Dan Gilbert when he bought the Detroit News and Free Press buildings before flipping them to Gilbert at a huge profit. He has done the same with other buildings in downtown Detroit including the David Stott Building. 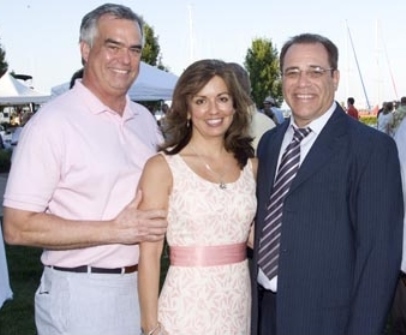 Uralli claimed to BE the Madison Capital Group, LLC, but he is nowhere listed on that company’s Michigan filing, or under the name of any other company using the Madison name. He is not listed in the Wayne County Register of Deeds with respect to Mingo’s home. As he did in the attempted takeover of Bert’s Marketplace, as well as his purchases of building he later sold to Dan Gilbert, he appears to be acting as a front man who uses a variety of tactics to seize land and property, including phony threats. Millender first ruled in favor of Mingo during an April 14 hearing, reading Mingo’s documentary proofs into the record. But Millender reversed herself at a supplemental hearing April 5. 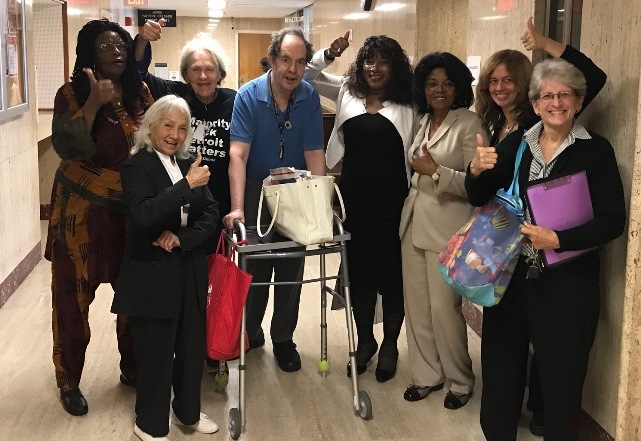 Mingo vigorously appealed that ruling pro se in front of Wayne County Circuit Court Judge Patricia Fresard, in front of a packed courtroom on Sept. 14. Fresard earlier had seized Mingo’s case from Judge Robert Ziolkowski, who Mingo says was about to rule in her favor. Fresard ruled against Mingo. But Mingo appealed Fresard’s ruling to the Court of Appeals pro se, and that appeal is still open. 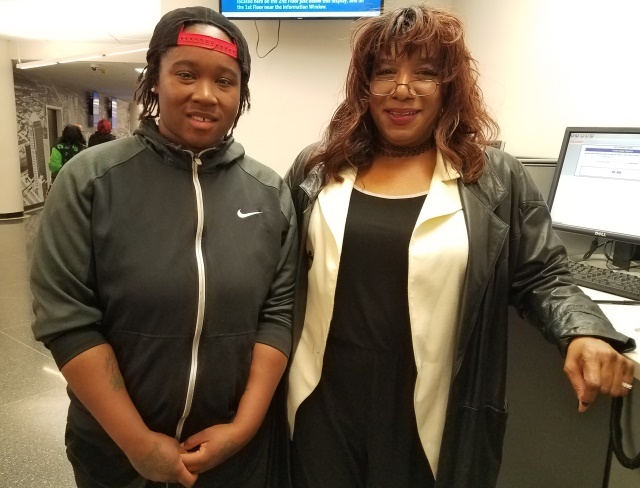 “For years I fought the illegal displacement of the residents of Brush Park,” Mingo said, referring to the time she was head of the Brush Park Citizens District Council, when she led a group of residents in filing suit against the takeover. Previously, Brush Park had been plagued with fires likely set by developers with interest in the property, and court actions to remove the mostly Black residents. It is estimated that over 800 mostly Black residents living in both homes and apartment buildings there were driven out during that period. City officials and developers used tactics ranging from de-funding of the Citizens District Councils, mass evictions, arson, asbestos contamination, arrests (Mingo herself faced ongoing harassment by the police), and likely even murders. The concerted attack on Mingo is clearly connected to Mayor Mike Duggan and Dan Gilbert’s $70 million plan, announced in 2015, to re-develop 8.4 acres of Detroit’s 100-acre Brush Park neighborhood. Mingo’s home stands in the way of the ongoing gentrification and “white-out” of choice Detroit neighborhoods. Developers said they would rehab four historic mansions and build 337 units of housing for sale and rent, as well as retail and green space. They announced that home mortgages will be available through Gilbert’s Quicken Loans, currently being sued by the federal government for fraudulent lending practices. Only 20 percent of the housing would be set aside for “low-income” residents, with a household income of $21,060, 80 percent of the city’s average median income. Detroit families have a 39 percent poverty rate, with children at 59 percent. Only families with 4 or more members could meet even that income rate. Duggan earlier announced a $50 million redevelopment of the former Brewster Wheeler Recreation Center in Brush Park, with a restaurant, 150 residential units, and retail stores. That project has been awarded to restaurateur Curt Catallo of Clarkston, Michigan, and Keith Crain of Crain Communications, who has dozens of prestigious addresses ranging from Bloomfield Hills, MI to Vero Beach, FL. The city also plans to redevelop the 18 acres of land where the former Brewster Douglass housing projects stood, for a total of 30 acres of land. The last of the Douglass high rises were demolished in 2014, completing the goals of President Bill Clinton’s “HOPE VI” plan which has razed low-income housing across the U.S. Please note: this is a separate donation page from the GoFundMe page for Gwen Mingo, which is linked at the top of this story. Hit that link if you want to donate directly to Gwen. I’m working very Hard to Pass this along today!!!! Can You Please Post to the Grass Roots Walkers FB Page!!! And in the OGW Chats!!!! Maurice http://www.htc-mall.com MO!!! Also the Weaverland Walkers want Carol Weaver for Detroit Charter Commissioner Chair!!! She is Us!!! And the Most who understand YOU and the CDC issue!!! And she will be for Police Oversight!!! But if for nothing else!!! She knows Roberts Rules of Law!!!! And note allow them to make OUR New Commission into a Group of Clowns!!! Using Parlamairy Procedure Let Our 7 Loss!!! Wow! I Thank u. Detroit thanks you, again Dianne for this comprehensive and awesomely excellent article.